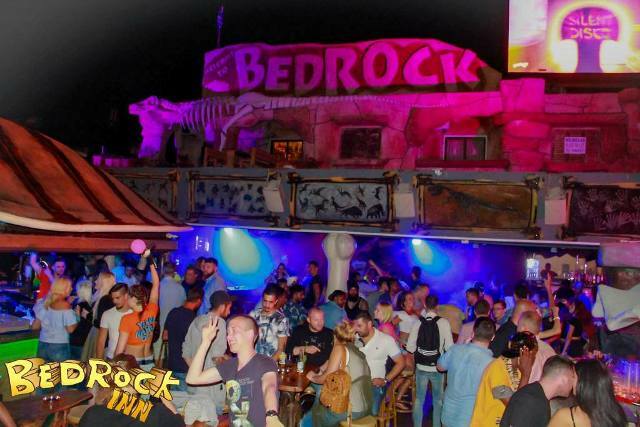 Bedrock Inn is located right in the heart of Ayia Napa in a busy spot surrounded by other bars and clubs. It is open from April until October and serves drinks from early evening until the early hours of the morning. 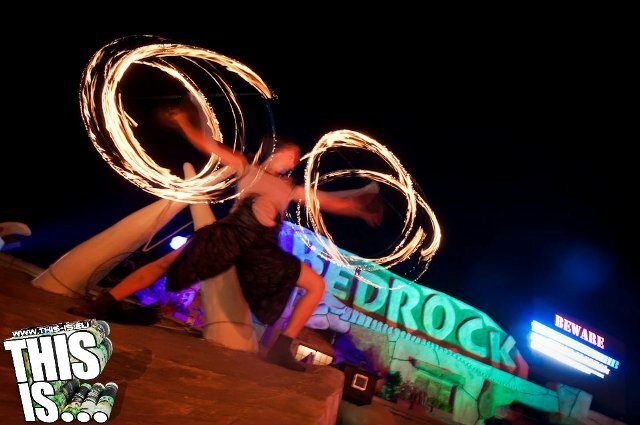 It's impossible to miss Bedrock and many people stop here both day and night just to take pictures with it's prehistoric themed decor, dinosaur bones and flintstones style car. 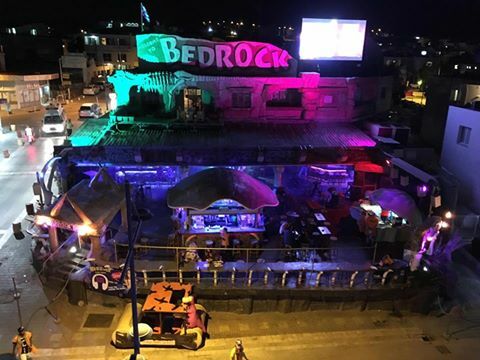 Bedrock Inn is also home to Ayia Napa's only silent disco so you can keep the party going even once the music has to go off at 1.30am. The closest clubs to Bedrock Inn are Starskys and Castle Club. 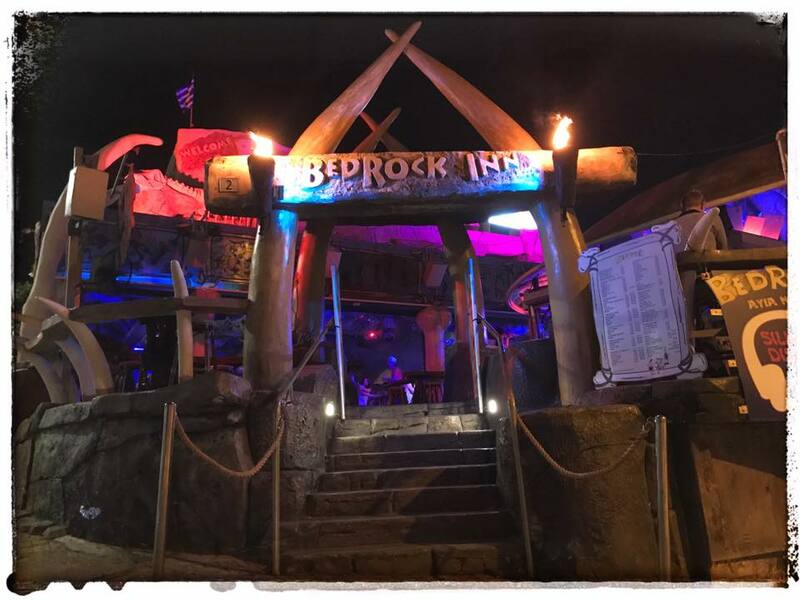 The closest bars to Bedrock Inn are Bedrock SQR, Castle Club Bar, Bar Arbat and Aruba.